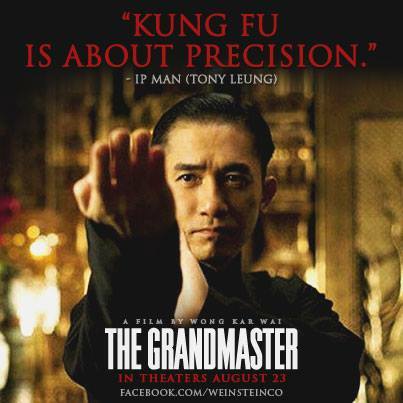 Tinsel & Tine Philly Film & Food Blog: Guest Contributor - DJReezey: THE GRANDMASTER "Yi dai zong shi"
Guest Contributor - DJReezey: THE GRANDMASTER "Yi dai zong shi"
The world knows Bruce Lee, but few know his trainer, Grandmaster Ip Man (Tony Leung). 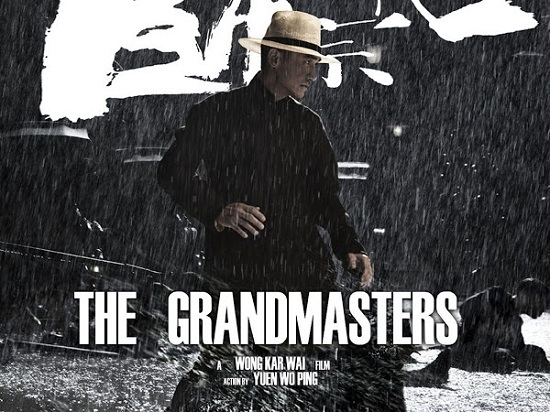 Ip Man faced many adversities, and even went through a long period of suffering; this film, The Grandmaster, not only allows you to know the legend, but gives you a true martial arts experience beyond what you are used to. The movie is both entertaining, and informative, giving viewers an education on Chinese history, culture, and tradition,while keeping the story of Ip Man modest and genuine. In the beginning of the film, we find Gong Yutain (Qingxiang Wang), the grandmaster of the North, has retired and appointed his apprentice Ma San (Jin Zhang) to be his successor. Ma San is very selfish, arrogant, impatient, and impulsive, and will prove to be an issue later in the film. Meanwhile, southerners want Ip Man to represent them and become grandmaster, and when put to the test, Ip Man is gracefully victorious. He faces many challenges, as grandmasters from all over China test him, and without breaking a sweat, he triumphs. Gong Er (Yixuan Wu), a great friend of Ip Man and the daughter of Gong Yutain, honors her father both as a mentor and martial artist. She has great desire to be his successor, but the tradition won't allow it. She too challenges Ip Man, only to find he is worthy of the respect that all of China has given him. Sometime afterwards, the Second Sino-Japanese War consumes China, and Ip Man is forced into poverty with his wife Cheung Wing-sing, and children. Ip Man refuses to use any of Japanese food and resources to survive extreme poverty, and as a result, he looses two of his daughters to starvation. Meanwhile, apprentice Ma San betrays his master Gong Yutain. I was glued to the film at the very start and have never seen a martial arts film quite like it. The movements are nothing short of beautiful, the action is intimate and consistent, and the acting is superb. This portrayal of Ip Man, done by filmmaker Wong Kar Wai, does more than just show who the legend was, it expresses the Chinese tradition and Kung Fu culture with sensitivity, detail, and depth. Please, do not enter this film thinking of traditional martial arts epics, or of any previous Ip Man movies featuring Donnie Yen. You may be disappointed. This film was not structured to show how Ip Man can take on limitless enemies at a time, or to show any ridiculous bone break sequences, blood splattering thrashes, or frivolous unnecessary flips and tricks. The Grandmaster instead displays how humbled and patient, disciplined and powerful Ip Man was - the true qualities that made Ip Man the Grandmaster. This film is sure to give anyone a deeper appreciation for martial arts both as a discipline, an art, and a way of life. As a true practitioner of martial arts and scholars of it's valid advancement, I strongly believe this film will change the direction of martial arts films. Wong Kar Wai decided not to focus on excessive use of special effects to show fantasy style fighting, but instead relied on very close and personal fighting scenes, where the combatants rarely stepped within an inch from one another, creating plenty of suspense and anxiety, without being overly dramatic, yet still retaining the illusion of the supernatural; very different than what I am used to seeing in most martial arts film. "People walk past gardens every day but only marvel at the flower show. People train realistic firearm skills and the ability to withstand the physical power of a gun on the shooter but in movies the fascination is with the bullets curving. Humans are not pleased by struggle and the benefits of it. We prefer to live in an unrealistic reality of fantasy." Wiley continued, "A martial arts movie would be boring without the technical exaggerations. As would guns and bombs in action movies. It is very hard for a martial arts movie, or any action film to deviate from "technical exaggerations" and still be fascinating. 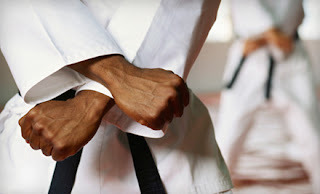 People understand the exaggerated context of martial arts in film is impractical, but they then apply that disposition to the idea of traditional martial arts, which in reality are two different things.Unfortunately this perspective, caused by the disbelief of ability instilled by these films, causes the lack of respect for the real practice. This is not to say we should look down on martial arts films, but we can, however, advise to stray from sensitive historical figures and warping their image." I feel that Wong Kar Wai and the entire cast would agree, and worked diligently to show martial arts for what it is, and not what modern media has made it seem to be. Wiley also said, that he cares not about the image of martial arts, but rather "self-enlightenment and self-defense in the real world. Therefore, if challenged because of skepticism, a true practitioner of martial arts will defend him/herself in a realistic Martial manner. As long as that ideology is upheld, the superficial is irrelevant." When I further asked him "What do you expect to see in the film The Grandmaster?" he responded, "Just an entertaining movie." I think Andre will be happily disappointed!